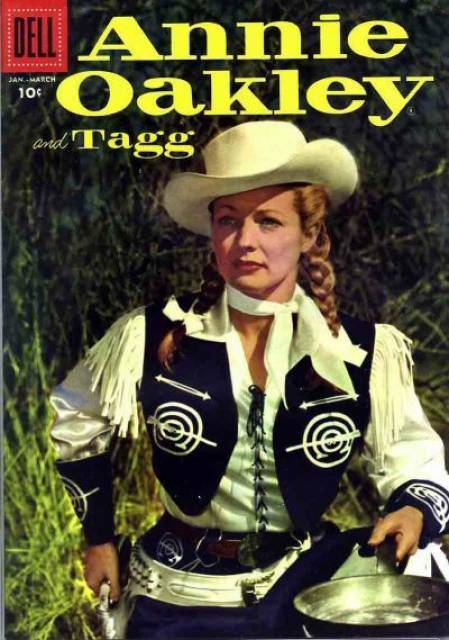 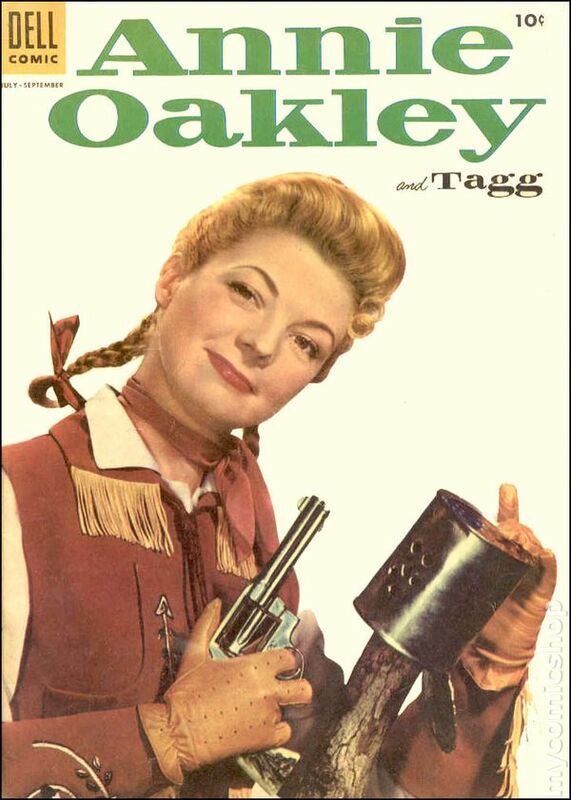 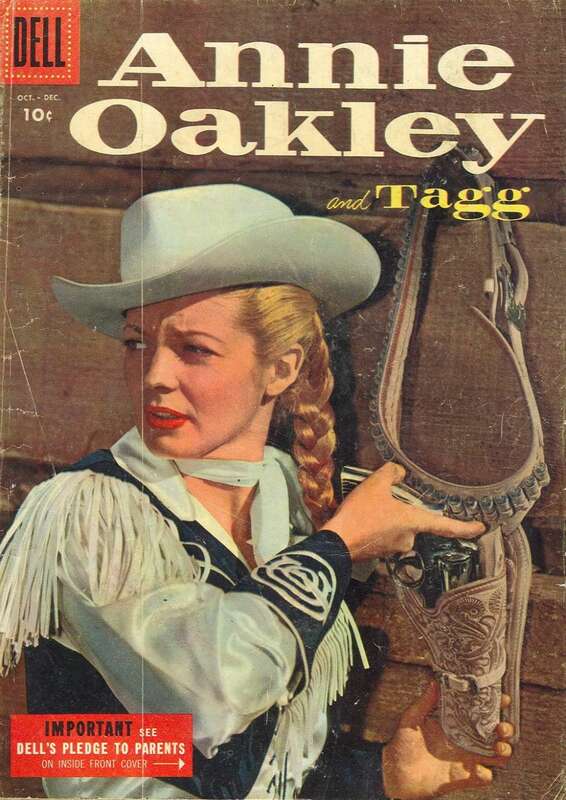 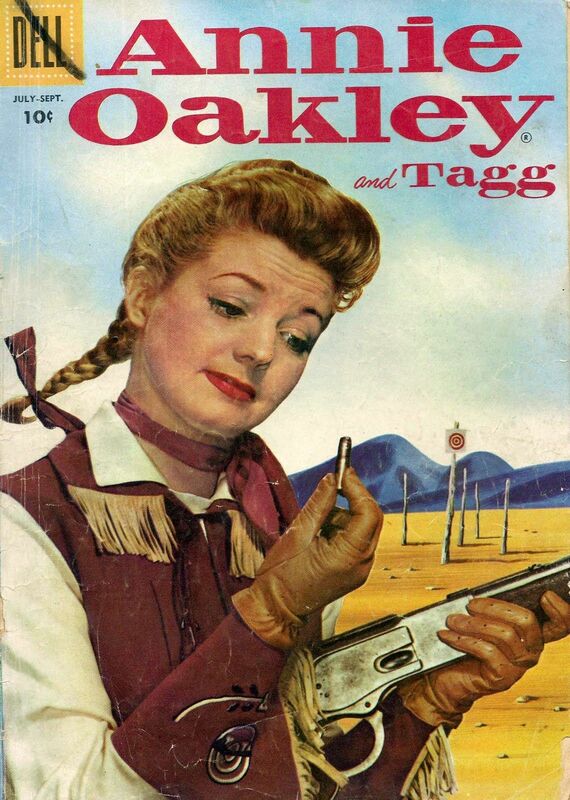 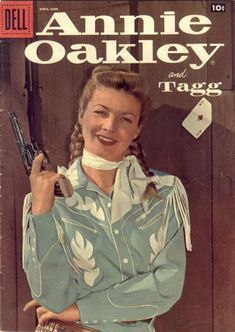 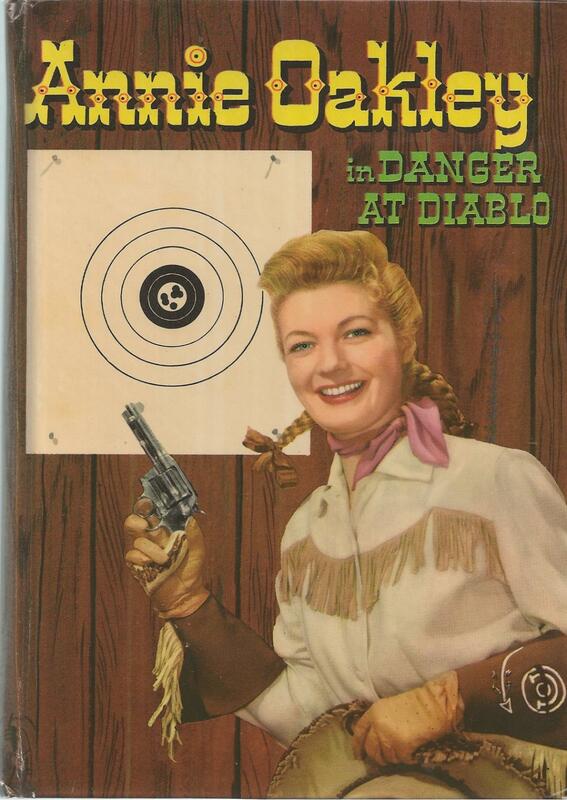 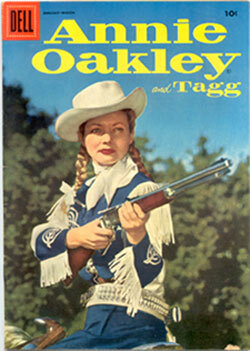 Cast as Annie Oakley in 1953, Gail Davis became TV’s first female heroine. 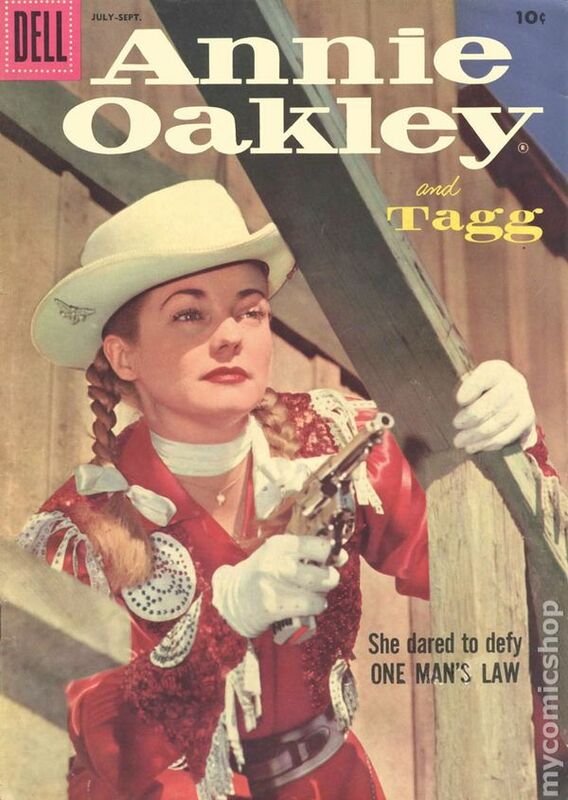 It was a role the then 27 year old actress would be associated with for the rest of her life—in much the same way as Clayton Moore was linked with The Lone Ranger. 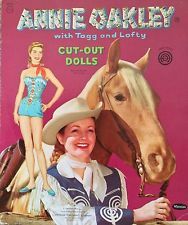 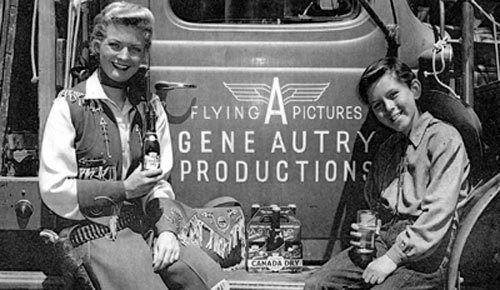 Gene Autry’s Flying-A Productions produced the half hour episodes of Annie Oakley, which ran in syndication across the nation. 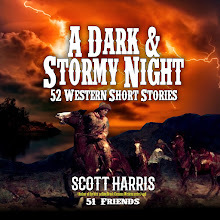 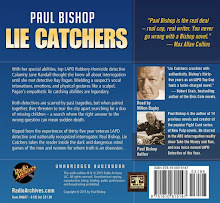 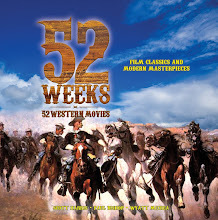 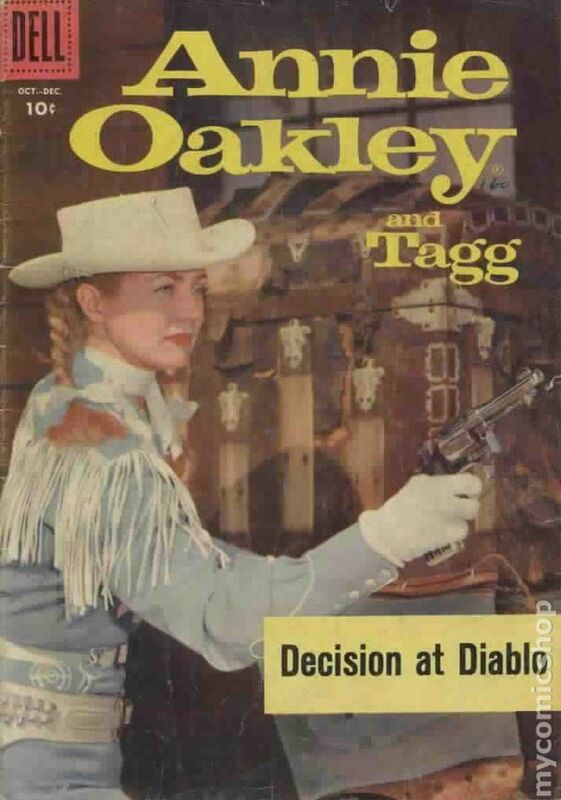 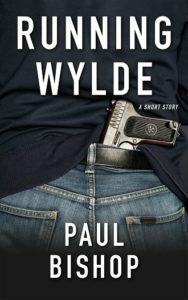 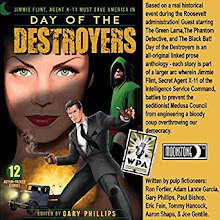 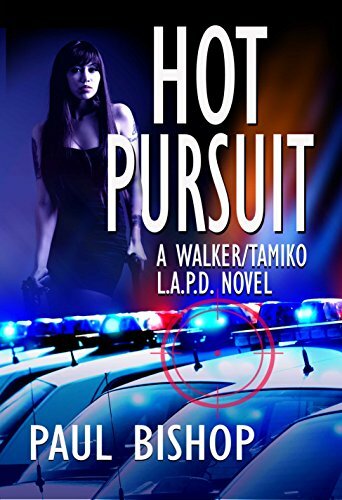 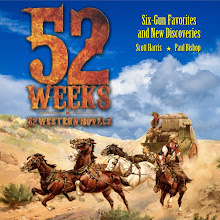 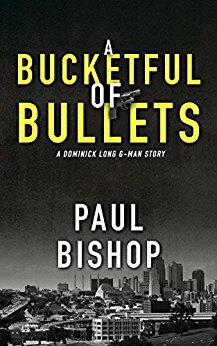 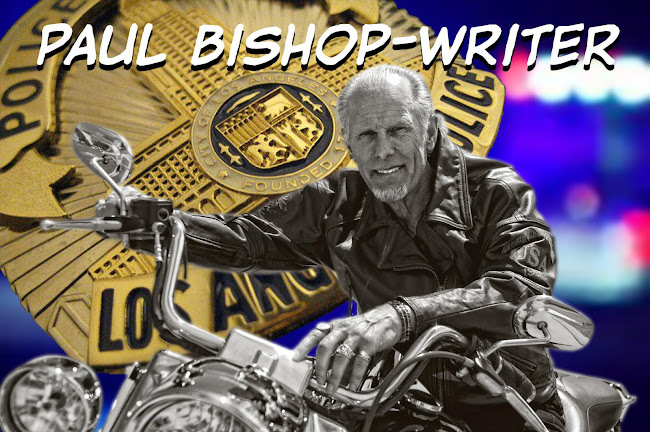 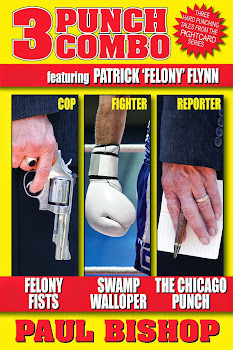 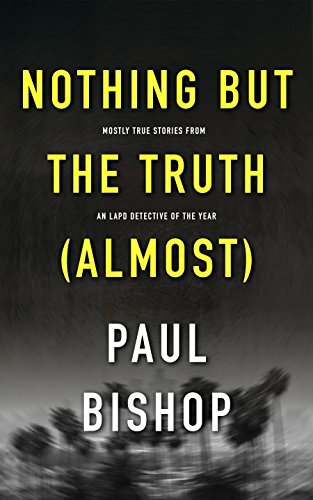 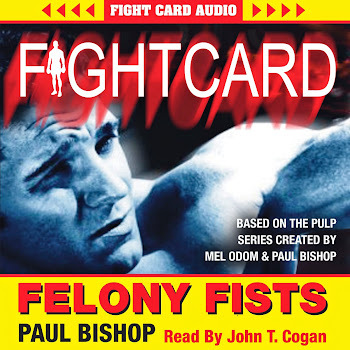 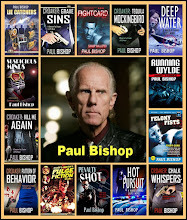 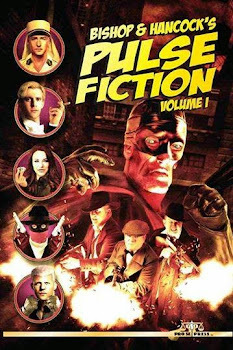 Alongside deputy sheriff Lofty Craig (Johnson)—considered her silent suitor—and her kid brother, Tagg (Hawkins), the five-foot-two, 95 pounds, and cute as a button Annie was a crack shot and the scourge of badmen who dared show their bandana-covered faces in her mythical hometown, of Diablo, AZ. 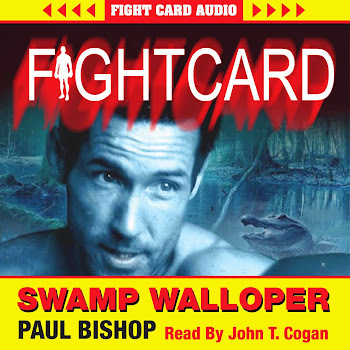 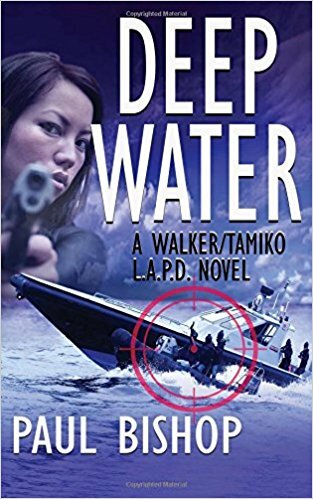 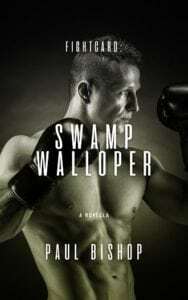 Deputy Craig handled all the fisticuffs, but it was the sharpshooting Annie who saved the day—often rescuing the mischievously annoying Tagg in the process. 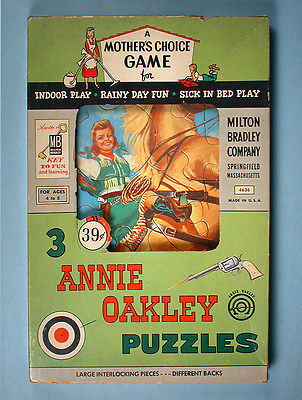 As for parents who might be concerned by her exploits, in one episode Annie refers to her mother’s death, but there was no mention of her mysteriously absent father. Davis had previously co-starred with Gene Autry in 14 features, but was not originally considered to play the historically iconic female sharpshooter. 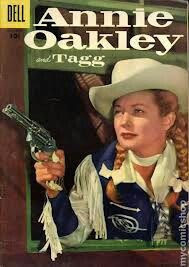 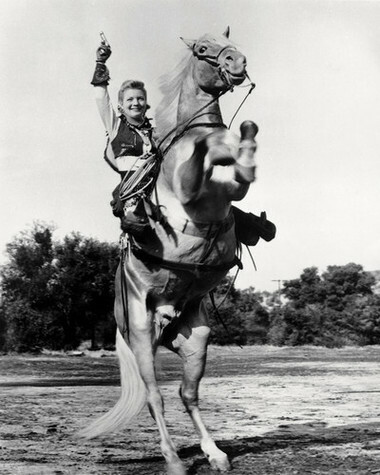 Autry and executive producer Armand Schaefer auditioned girls who could ride, and girls who could shoot, but they couldn’t find a girl who could do both, not realizing she was right there under their noses. 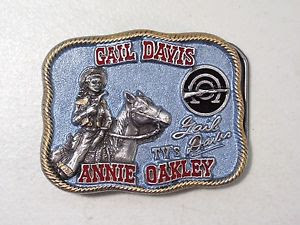 Up until her death in 1997, Davis never stopped being Annie Oakley, visiting kids in hospitals and other venues everywhere. 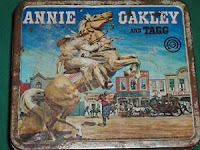 Target, Annie’s horse, was played by three similarly colored Palominos. 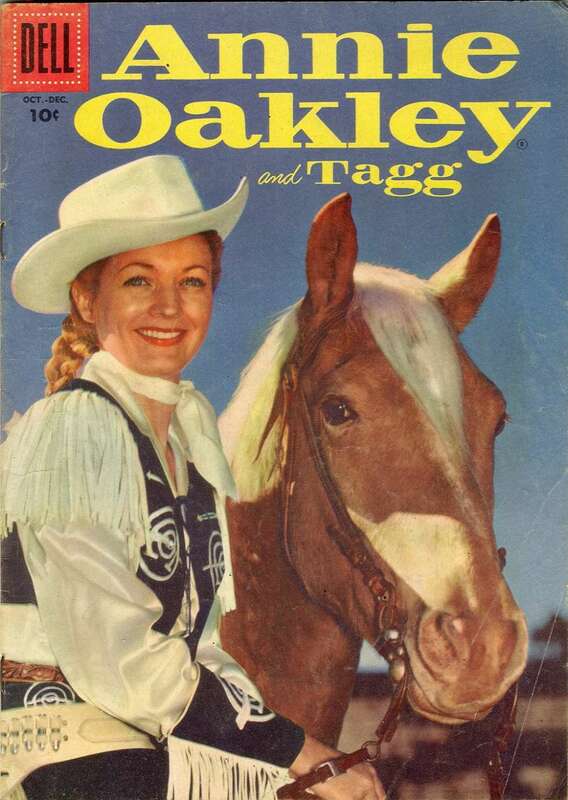 Tagg’s horse was Pixie. 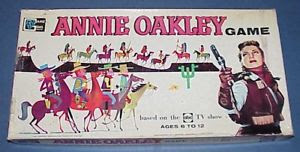 Each episode opens with Annie shooting a neat hole in the center of a nine of spades playing card, being held up by Lofty, while standing upright on the saddle of her trusty Palomino Target, who is galloping at top speed. For a kid there wasn’t anything more thrilling. 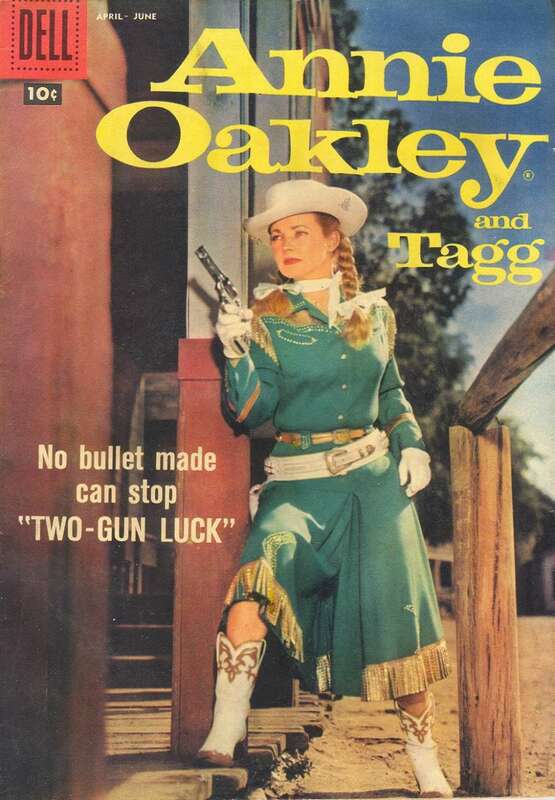 In the pilot episode for the series, Bull's Eye, Billy Gray played Tagg, but quickly moved on when the pilot didn’t sell and he was offered the role as James Bud Anderson, Jr. on television’s Father Knows Best. 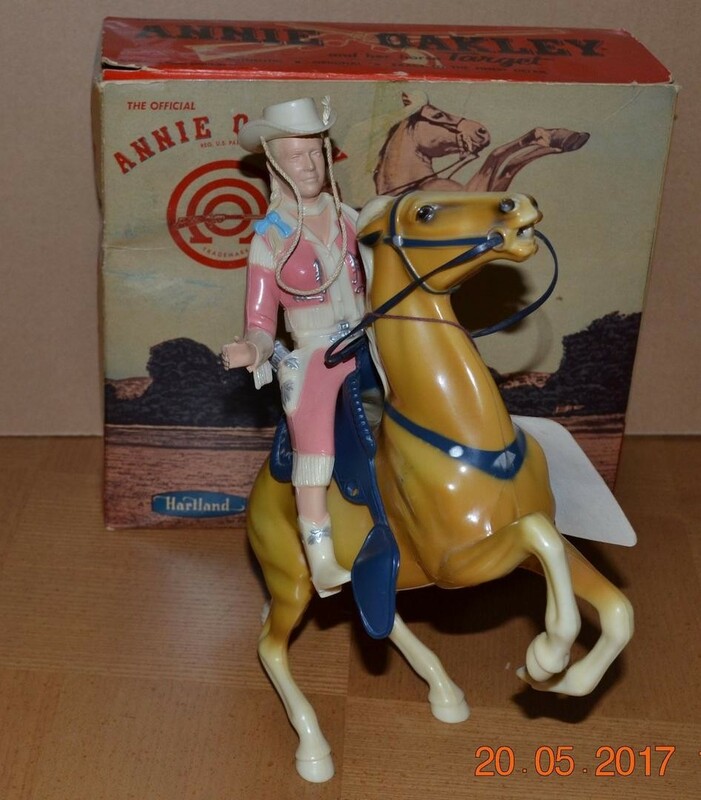 Also in the original pilot, Annie’s uncle was Sheriff Luke McTavish (Kenneth MacDonald), who was always conveniently out of town when trouble came. 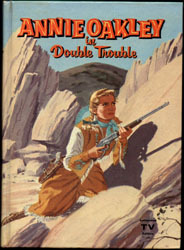 Convinced he had a great concept, Gene Autry order a second pilot, Annie Gets Her Man, to be shot. 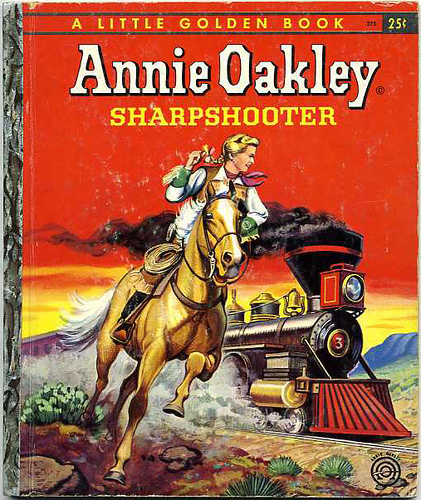 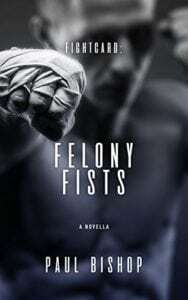 This time the episode had more action oriented and less saccharine. 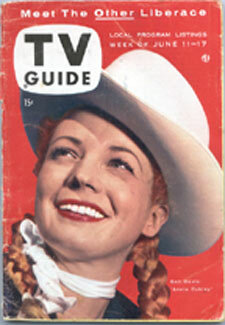 This time the show sold and the series went on to huge popularity. 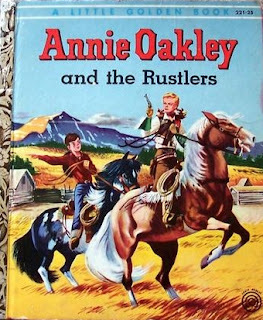 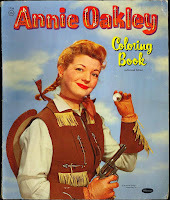 Annie Oakley was a show like The Lone Ranger, which the whole family could enjoy. 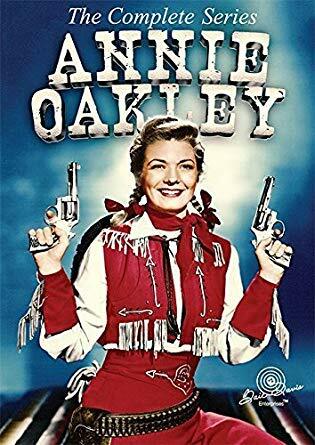 A girl who could out shoot and out ride any male, however, gave a whole generation of girls their first taste of female empowerment. 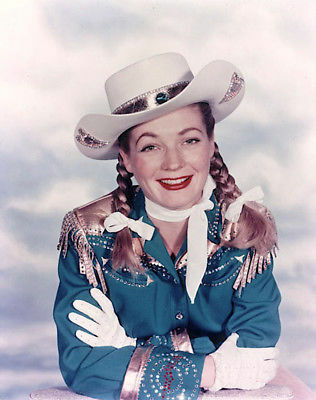 The show was affectionately referred to as Pigtails and Pistols due to the pigtailed hairstyle sported by Gail Davis as Annie. 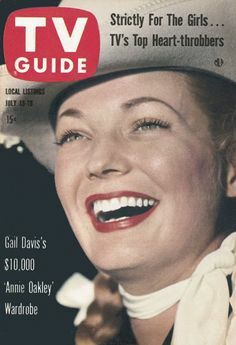 Davis was usually doubled by Donna Hall or Alice Van. 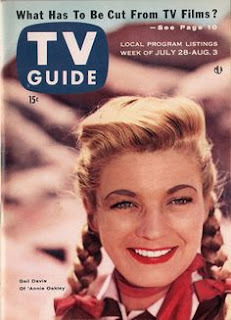 However, Davis’ best friend and look-alike, actress Nan Leslie, filled in for one episode after Davis broke her ankle stepping off a curb. 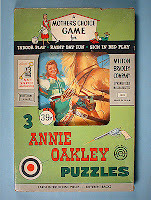 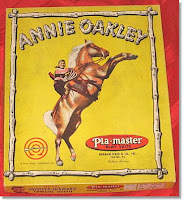 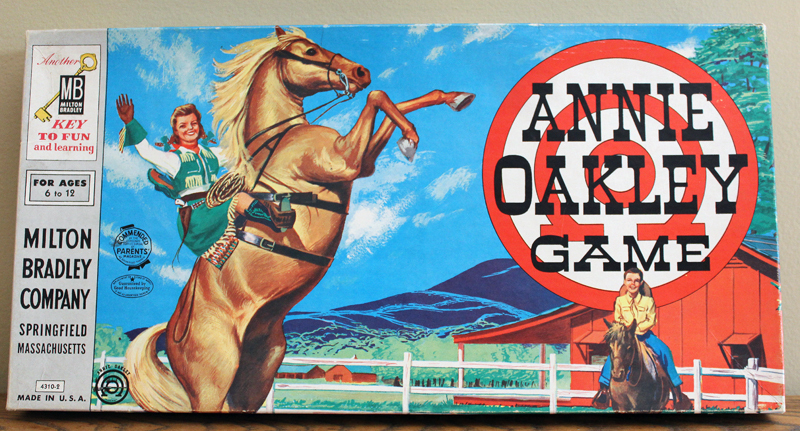 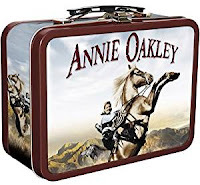 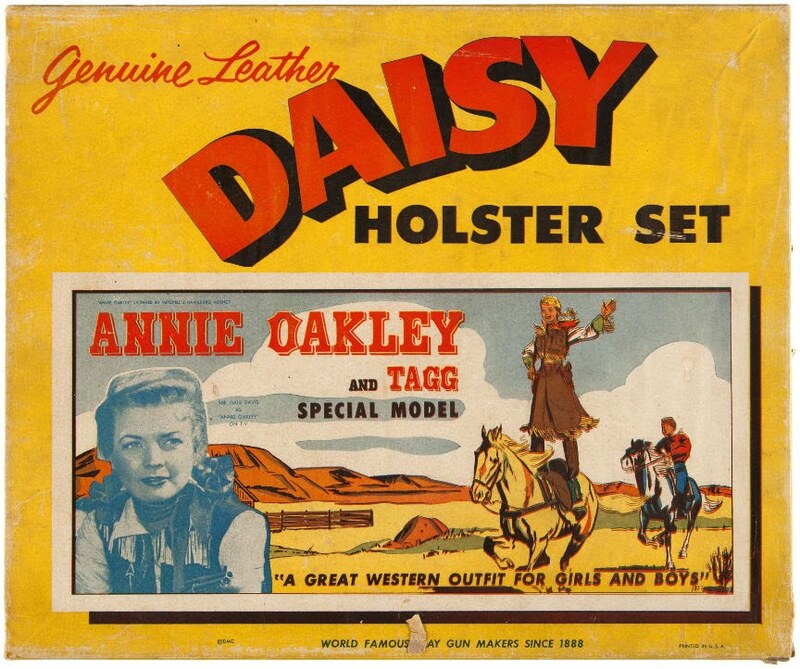 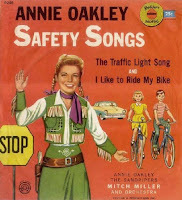 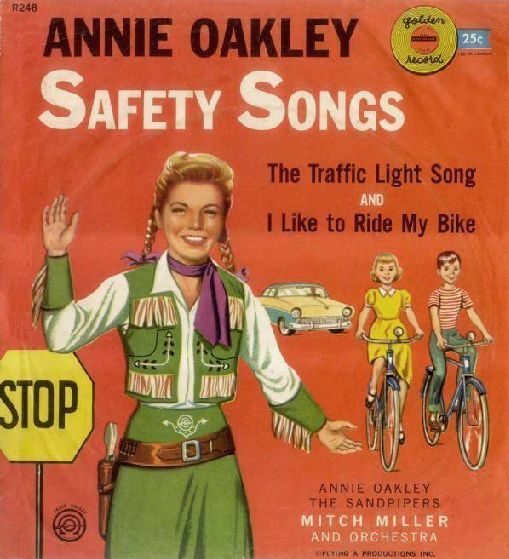 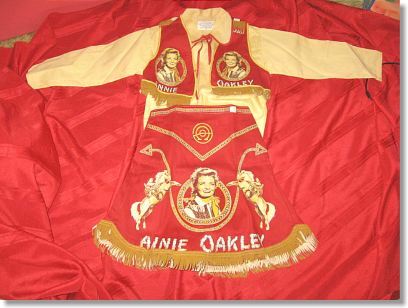 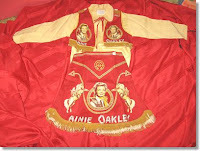 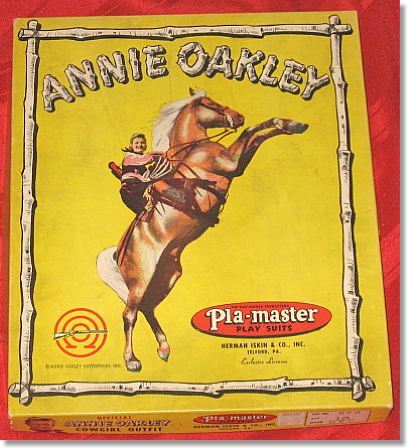 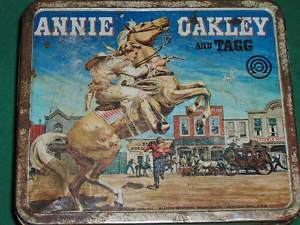 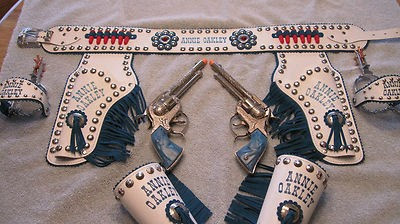 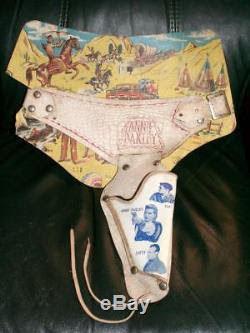 Annie Oakley collectibles were extensive. 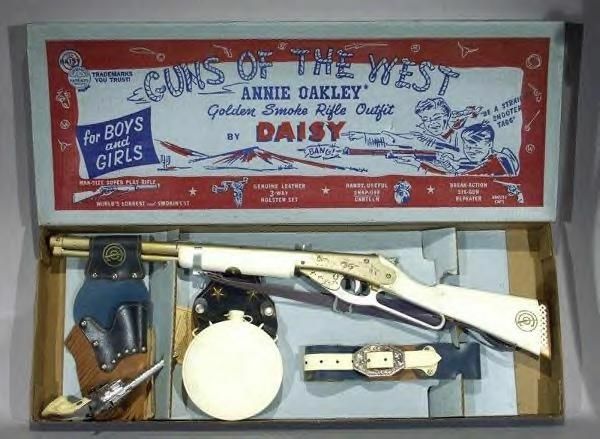 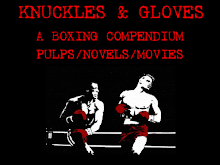 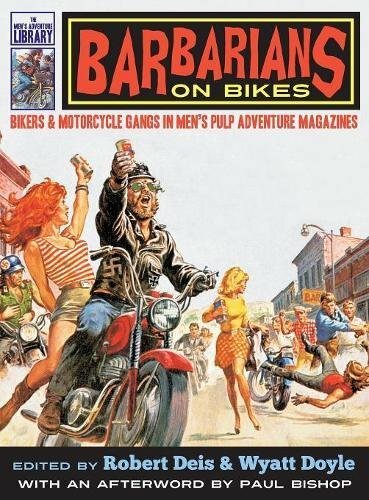 Everything from Dell comic books to BB rifles to holster sets, puzzles, and much more were all available. In 1955, at the height of the show’s popularity, officially licensed Annie Oakley merchandise topped $10,000,000 in sales.